If this were an article for Harper’s Bazaar it would be an imagined interview between a reporter and Loja Saarinen, but since my status is beneath lowly, I won’t presume. Loja Saarinen is a fascinating person in many respects: she was professionally a sculptor, photographer, textile designer, maker of architectural models, landscape designer, teacher, weaver, entrepreneur, designer in general, without mentioning the unquantifiable but no less important aspects of her life. 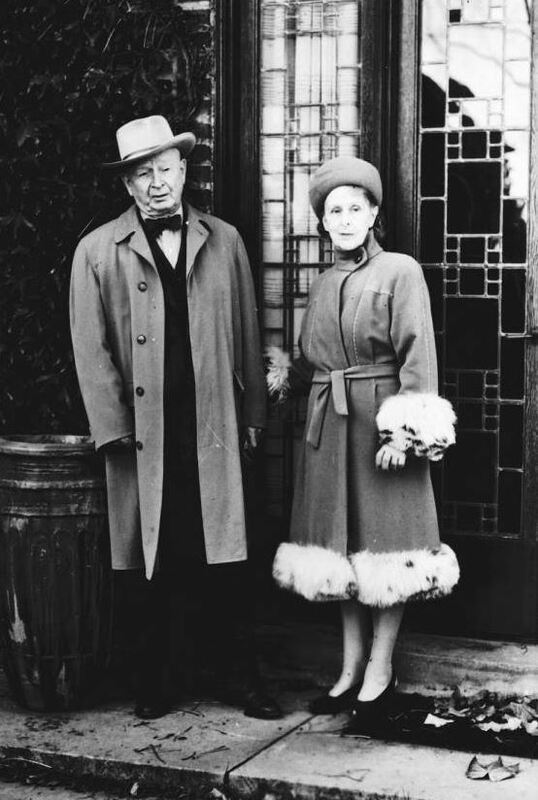 Married to architect Eliel Saarinen and mother of two extraordinarily gifted children, she must have been party to some incredible family discussions on style, architecture, design of practically everything, including fashion. Daughter Pipsan Saarinen Swanson briefly led a fashion course at Cranbrook Academy Art, and she and her mother made many of their own clothes. Even though the ready-made clothing industry was growing, women in the 1930s and beyond who had sewing skills but not necessarily the money for special garments would make their own. Commercial patterns abounded: Vogue, Butterick, Simplicity, McCall, among others not all of which survive today. 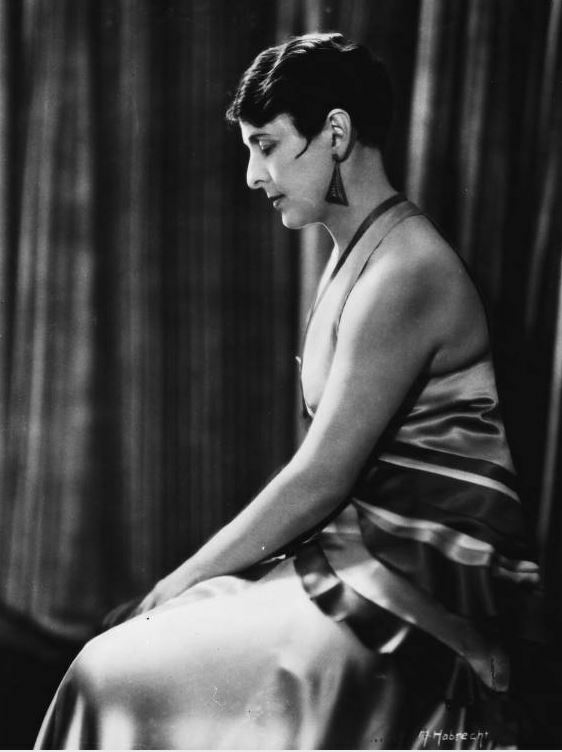 Considering Loja Saarinen’s formal training in sculpture in Paris and her own textile designs, not to mention her model-building skills and creativity, one must assume she was ideally set up for making her own special clothes. They would be unique. What could be better? 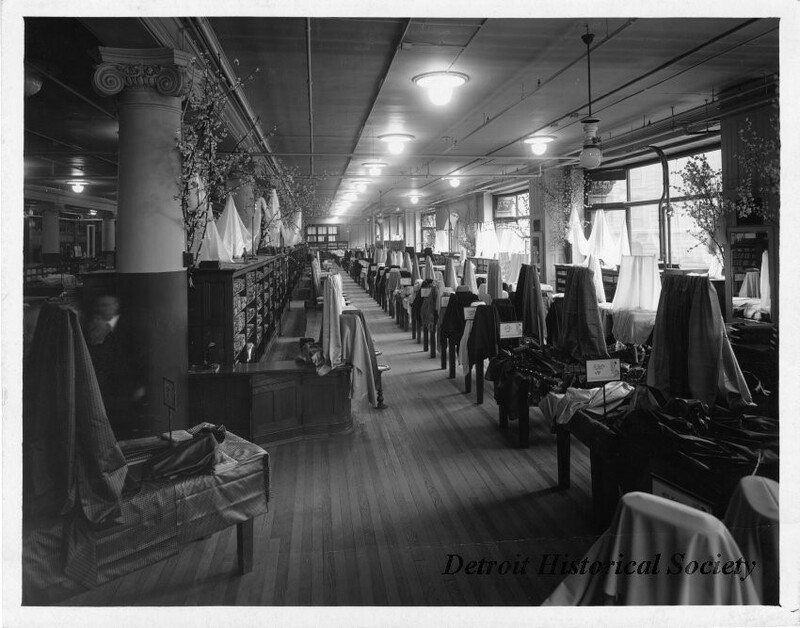 And then there was the wonder of downtown Detroit’s J. L. Hudson’s vast floor of fabrics. Fabric Department at J. L. Hudson Company Department Store, 1920s. H.W. Brooks, Commercial Photographer. Courtesy of the Detroit Historical Society. Of course, the essence of fashion is being appropriately dressed. Working from the informal to the more formal attire, one may examine a few photographs of Loja Saarinen as samples of her impeccable taste and ingenuity. 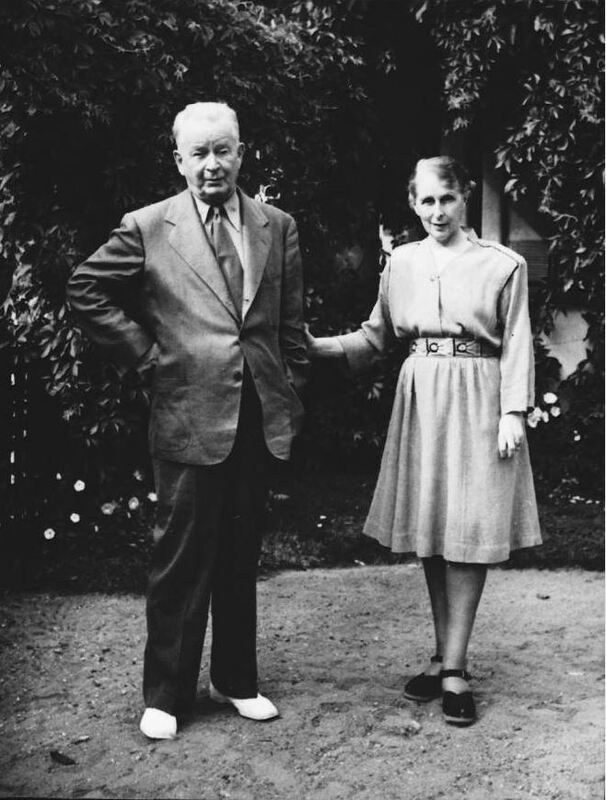 Eliel and Loja Saarinen. Copyright Cranbrook Archives. This looks like a take on a peasant dress with its loose sleeves and wide flat fell seams and flared, lightly gathered skirt. What says hand-made to me is the embroidered belt. While it is possible Loja bought the dress and altered it to fit sleeve length and hem, I think this would have been easy enough to whip up. It is casual, comfortable and different enough to mark her as a person with an eye for good design who is not going to be dressed like anyone else. 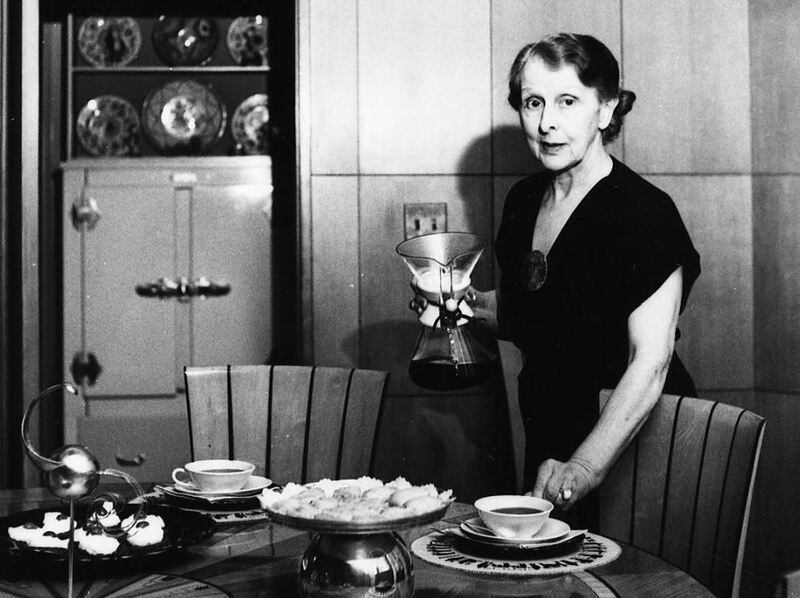 Loja Saarinen in her dining room, c. 1940. Courtesy Cranbrook Archives. The sleeves are a bit longer. Note the Chemex coffeemaker as accessory. Next is a design so Loja-esque, given the proliferation of triangles all over the campus in every medium you can think of, including in her own contributions, this fabric and the garment have to be Loja Saarinen designs. Loja Saarinen, c. 1934. Courtesy Cranbrook Archives. This is one of the best examples of Loja’s sense of style, though probably not her own work. She is warm, stylish and utterly without fuss. Attention PETA, this is before the days of reasonable-looking faux fur. The coat is a thick wool with light-colored top-stitching down the sleeves and front bodice panels. Dress-up clothes, we have them: a lovely photograph of a younger L. S. Swirls of fabric and triangle earrings. 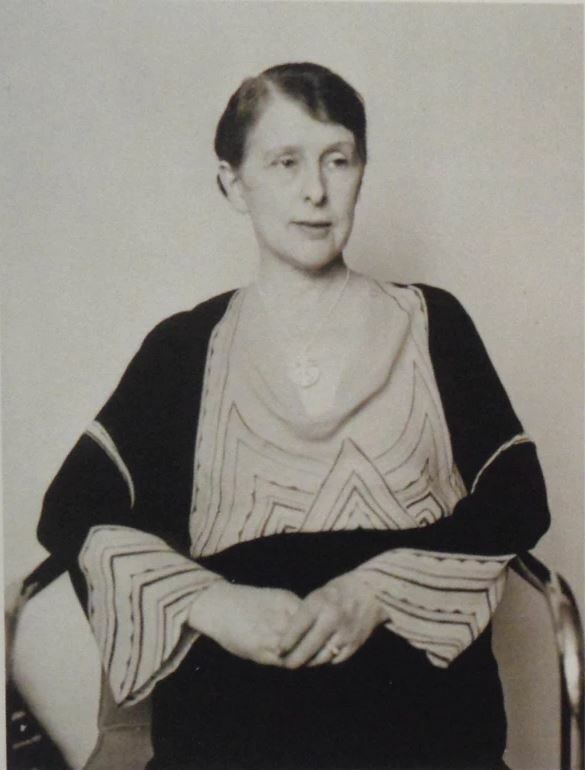 Portrait of Loja Saarinen, 1932. Max Habrecht, photographer. Copyright Cranbrook Archives. This looks like a dress with swaths of color in the bodice such as you might see in her rug design. This could be silk satin, or what was called “art silk.” It looks bias-cut, which would make for a good fit, but which is unforgiving for the seamstress. You can’t see her hair very well, but it appears fashionably cropped. In the following Crandemonium photograph Loja’s attire looks like a variation on a theme. I suspect this is a top she made for the occasion, worn over a separate skirt. Eliel Saarinen’s jacket has matching color stripes. The Saarinen column hats make the outfit for both party-goers. Loja’s dress has a train as befits the queen of Crandemonium. The orb of office for King Eliel is a grapefruit. 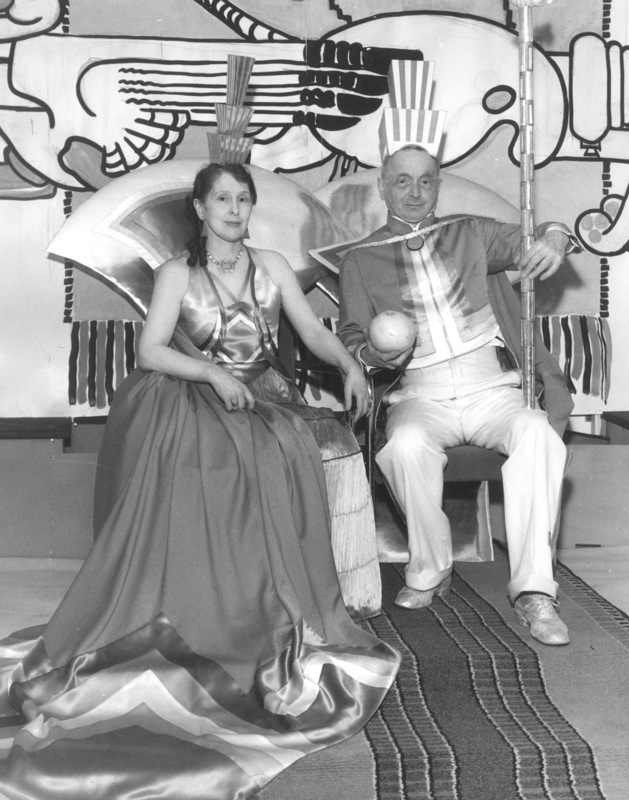 Loja and Eliel Saarinen at the Crandemonium Ball, Feb. 1934. Richard G. Askew, photographer. Copyright Cranbrook Archives. 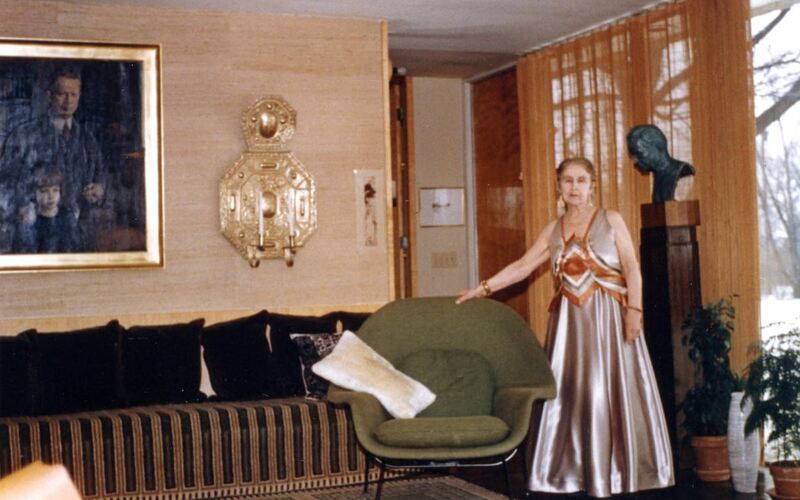 Loja Saarinen in her Vaughn Road home, c. 1962. Courtesy Cranbrook Archives. Loja Saarinen was not a self-promoter. Her work speaks for itself. Her hand is in so many aspects of design all over the Cranbrook campus. This is just a glimpse at a few (fashion) design choices Mrs. Saarinen made about herself. She told Virginia Christ-Janer in a 1964 interview, “With our family [art is] a disease.” More than that, the Saarinens were all so capable, why would they not keep designing? Just like Karl Lagerfeld, to design is to breathe.